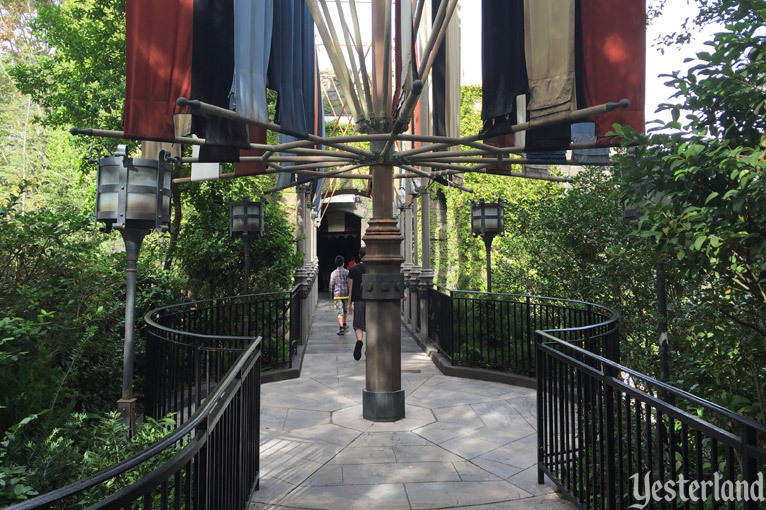 Would you like to twist and loop through the sky just outside Hogsmeade? Are you up for the challenge? 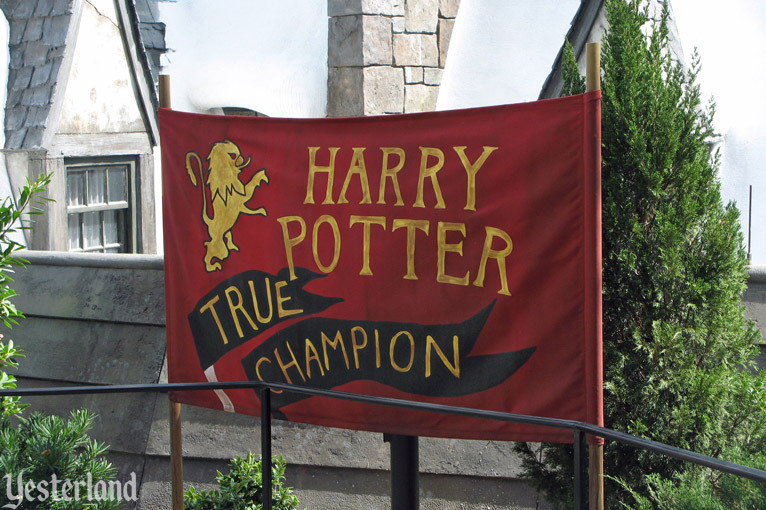 You’ll need the courage of a Triwizard Tournament™ champion as you mount one of two dragons—an aggressive Chinese Fireball or a ferocious Hungarian Horntail—that twist and loop in an intertwining roller coaster chase across the sky. 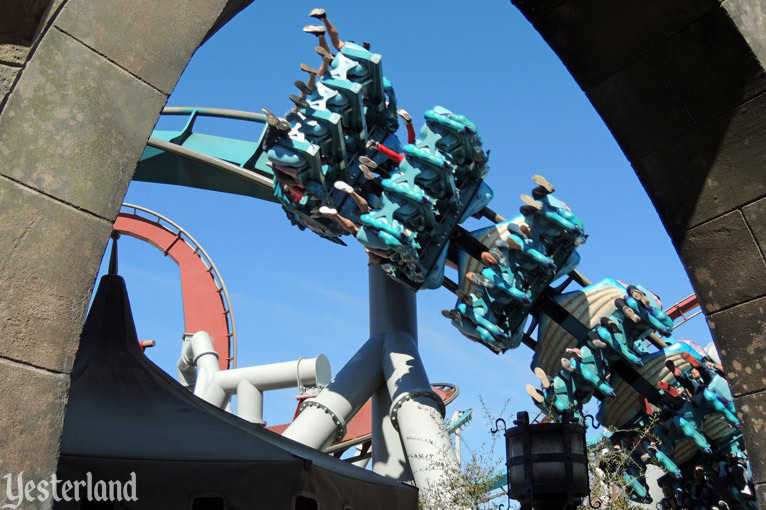 Dragon Challenge™ is actually two high-speed roller coasters—each “dragon” is a completely different ride. Are you ready? Have you stowed your belongings in a free locker? 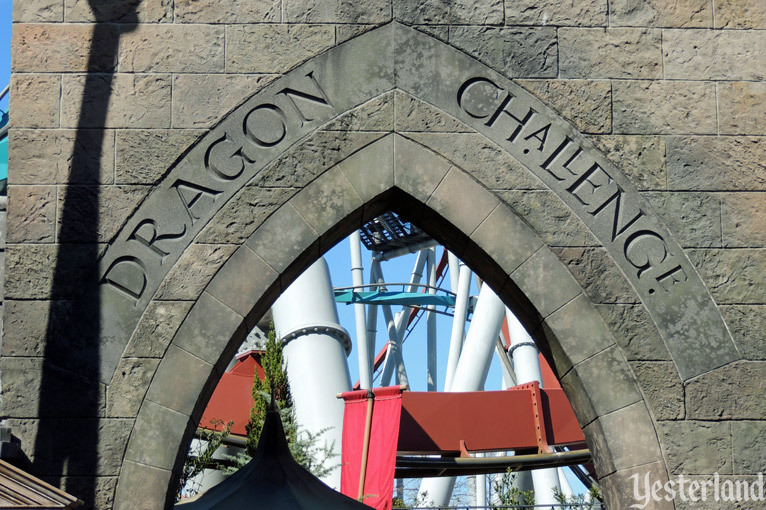 Step through the gothic archway to begin your journey to Dragon Challenge. 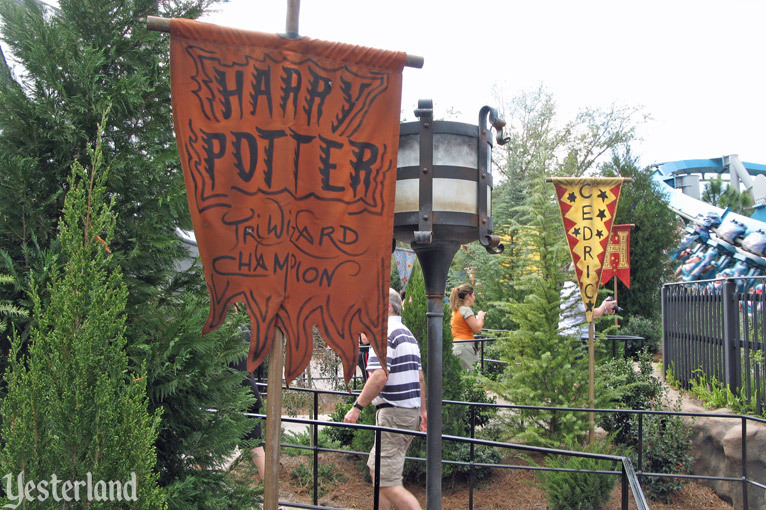 Your path is flanked by Triwizard Tournament flags and banners. Triumphant music fills the air. 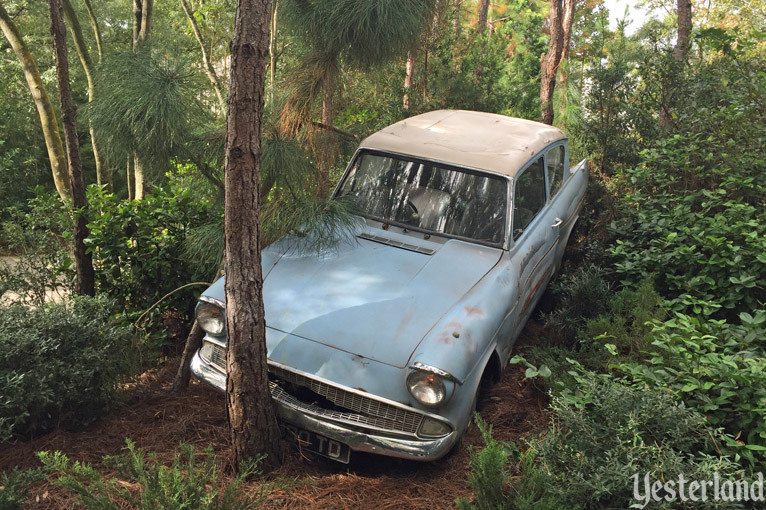 Enjoy Harry Potter icons along the way, including the Weasley family’s Ford Anglia, the Goblet of Fire, and the Triwizard Cup. After some dark corridors and caves, it’s decision time. Which dragon will you ride? 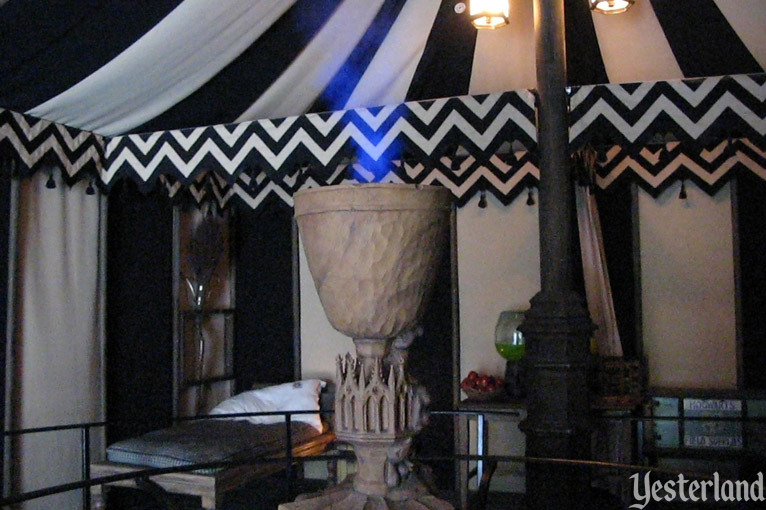 The Hungarian Horntail or the Chinese Fireball? The two tracks are different. 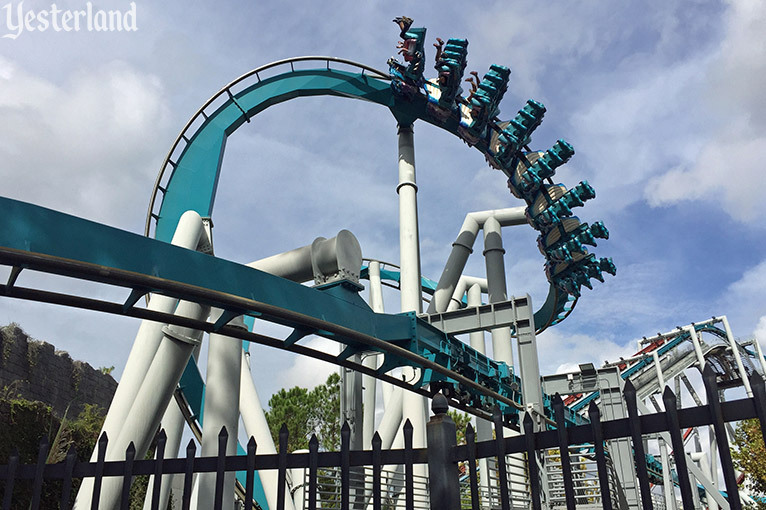 In either case, you’ll get a 2-minute and 25-second flight with several inversions—some combination of a zero-g roll, a cobra roll, a corkscrew, and a vertical loop. The ride is over. What are you going to do next? Go back through the archway again, of course. You’ve only been on half the attraction so far. Now for the other dragon! 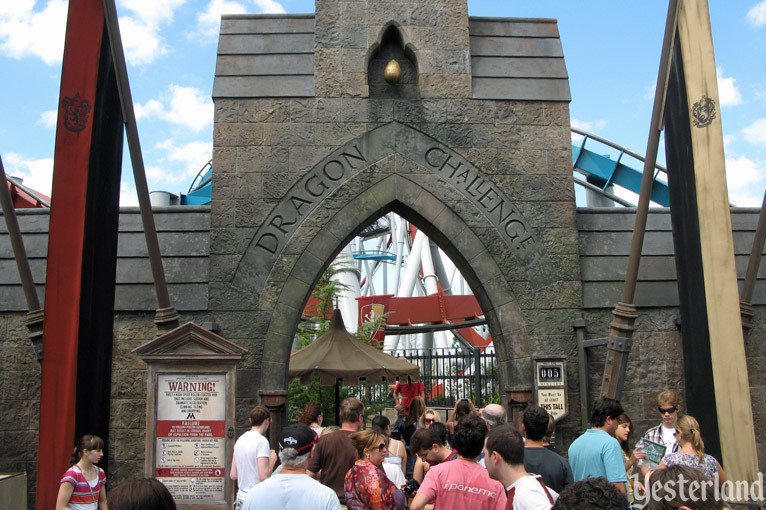 Dragon Challenge officially opened at Universal’s Islands of Adventure at the Universal Orlando Resort on June 18, 2010. 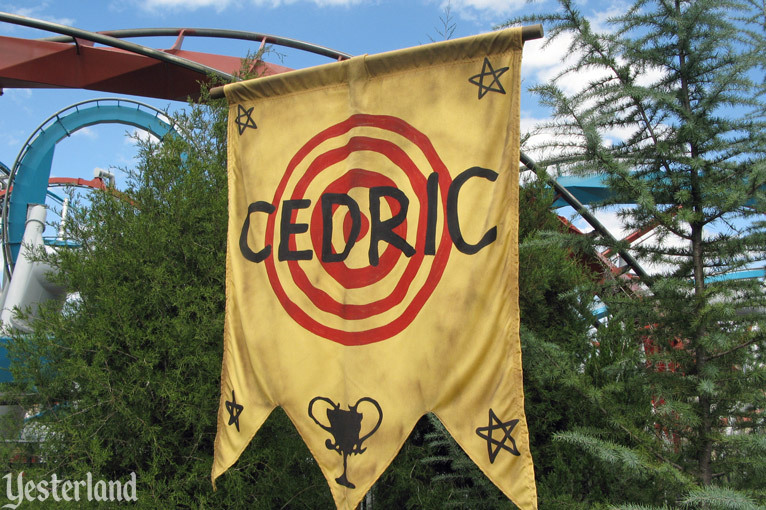 It was part of the park’s then-new Wizarding World of Harry Potter. 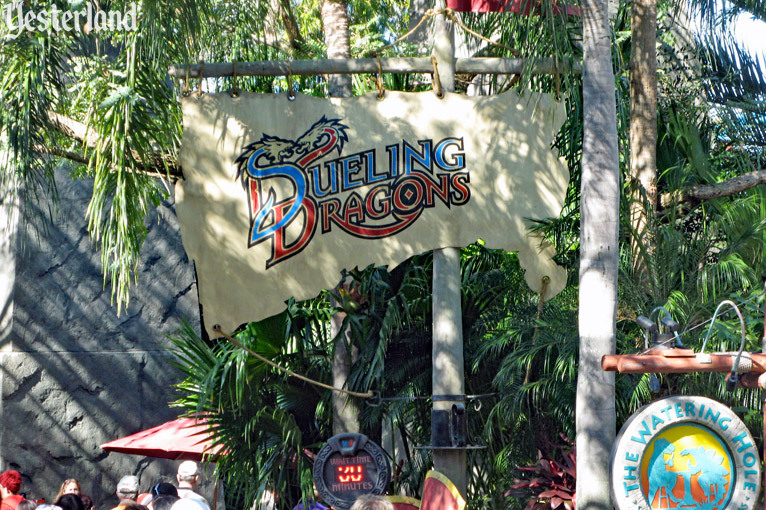 However, the ride was actually quite a bit older, having originally been Dueling Dragons in the Merlinwood section of The Lost Continent when Universal’s Islands of Adventure opened in 1999. 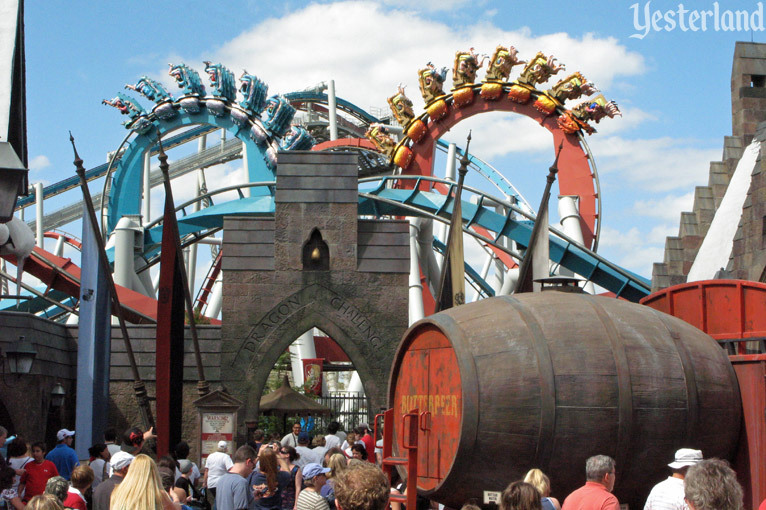 The Harry Potter books and movies had dragons too, so it worked out well that the park already had a major dragon-themed thrill ride that could be reused. 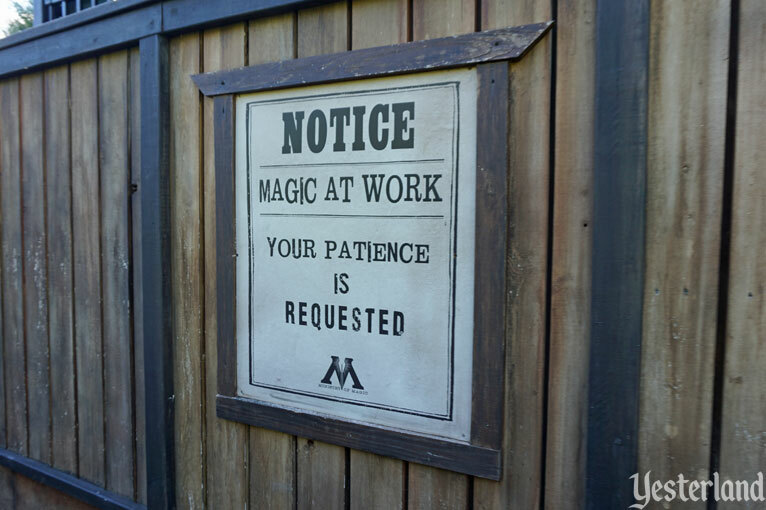 It would just take an updated queue, a new attraction name, and new names for the two coasters. The Hungarian Horntail had been Ice, while the Chinese Fireball had been Fire. 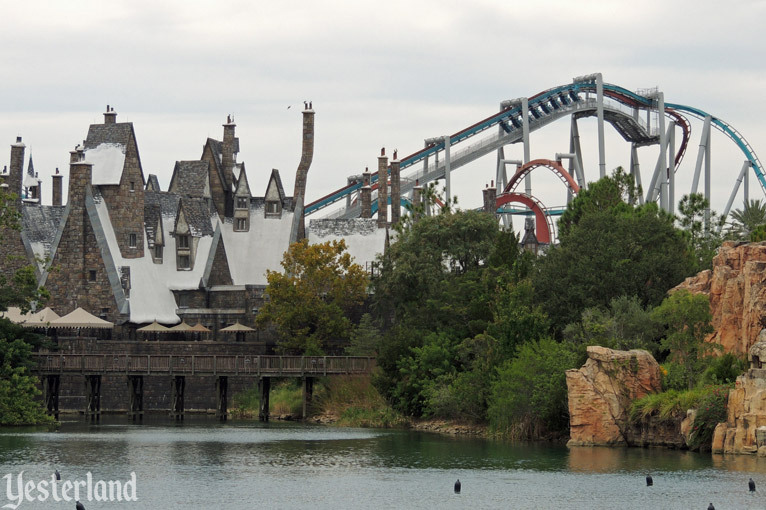 Despite the dragon tie-in, the dual-track steel coaster never fit well into the Wizarding World of Harry Potter. Hogsmeade Village was meticulously detailed, and Hogwarts Castle was surprisingly convincing through the skillful use of forced perspective. But the coaster’s acres of bare steel looked industrial, not magical. The ride looked like what it was—a state-of-the-art thrill extravaganza from 1999, as one might find at a top-notch regional theme park. 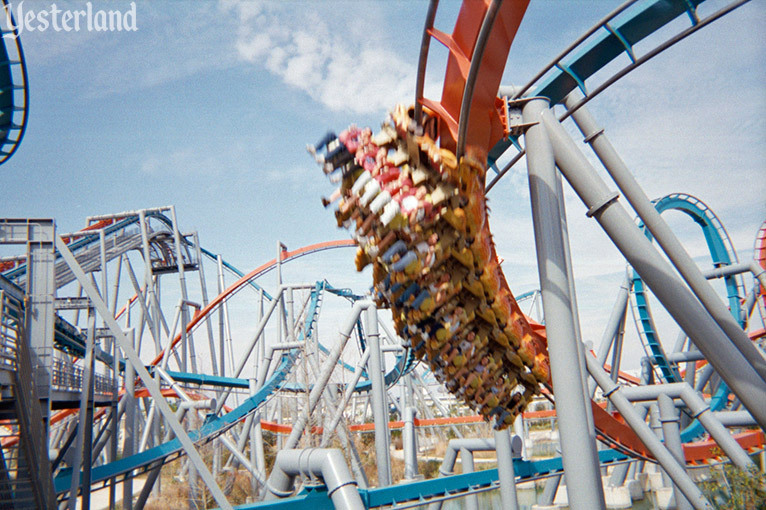 On top of that, the ride lost its best gimmick—its biggest thrills—in 2011. Until then, there were three points when the trains would approach each other as if the riders might collide, coming within 18 inches of each other at the closest point. A sophisticated dispatch system compensated for weight differences between the two trains so that the trains would be synchronized. It added to the illusion of danger, while being completely safe. The first accident occurred July 31  when 52-year-old Carlos Montalvo of Puerto Rico was hit in his right eye while sitting in the front seat of one of the coaster trains. 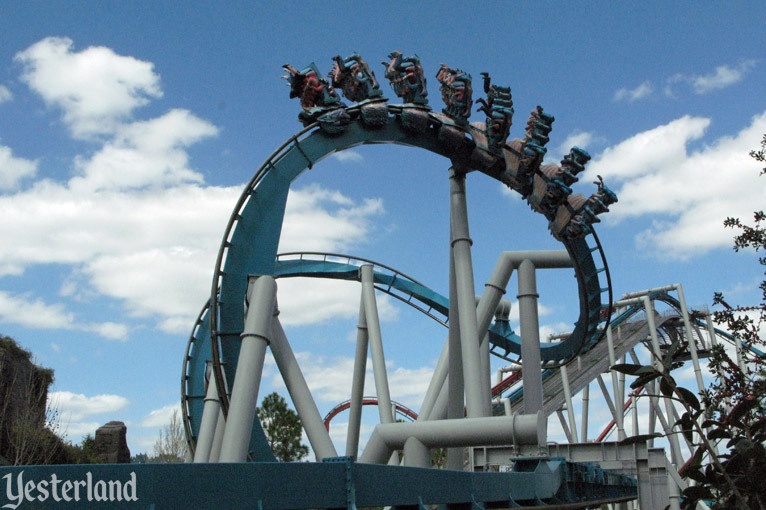 “At some point, when the coasters came together, something struck him in the eye and lacerated his right eye,” said Clay Mitchell, an Orlando lawyer representing Montalvo. Mitchell said Montalvo lost all vision in the eye and was forced to have it permanently removed this week. The lawyer said his client was already “virtually blind” in his left eye. A second rider was hurt last week. 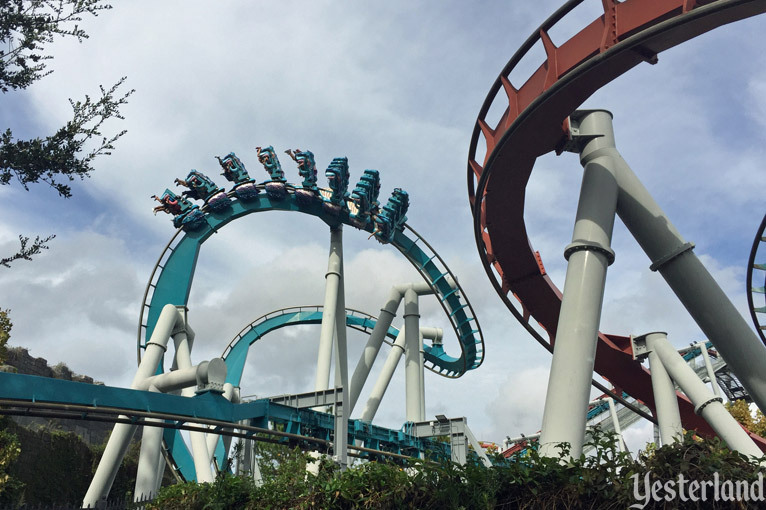 Local television station WKMG identified the rider as 19-year-old Jon Wilson of Ohio and said he was hit by something on his foot, arm and face while riding Dragon Challenge last Thursday. The solution was to eliminate the “dueling” feature entirely after the second accident—temporarily at first, becoming permanent in October 2011. The Hungarian Horntail and the Chinese Fireball would be dispatched separately for the next six years. By 2017, it was time for something new. 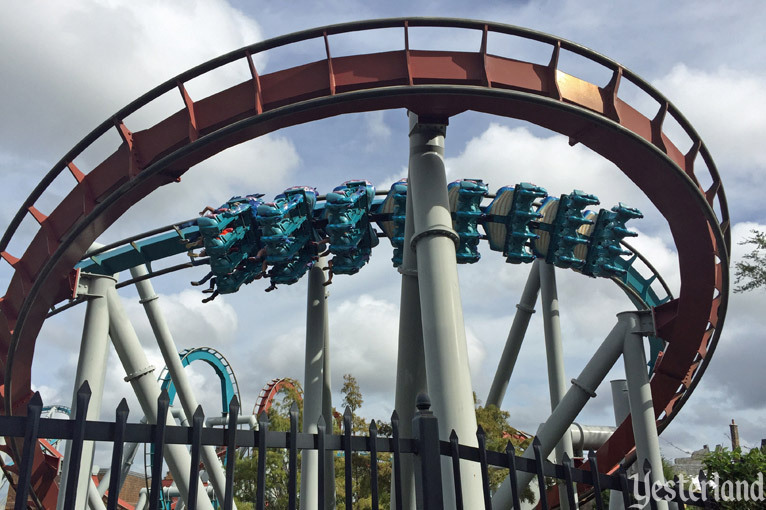 The last day to ride Dragon Challenge was Monday, September 4, 2017. 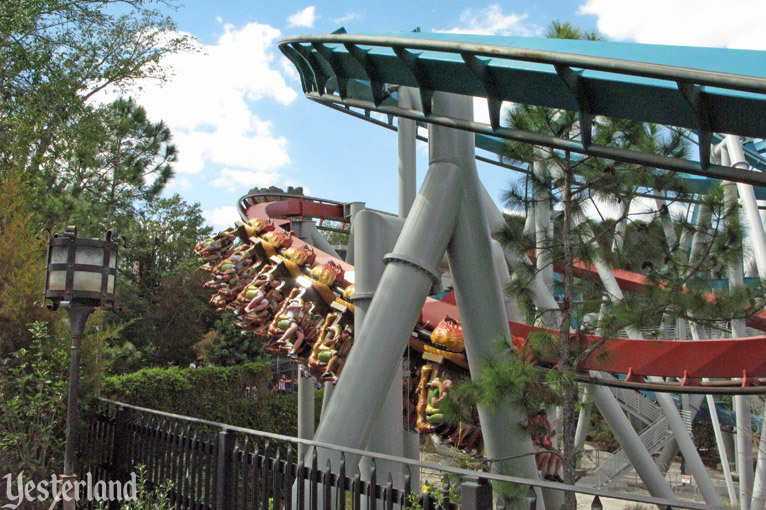 Demolition of Dragon Challenge began almost immediately, and construction began—but on what? 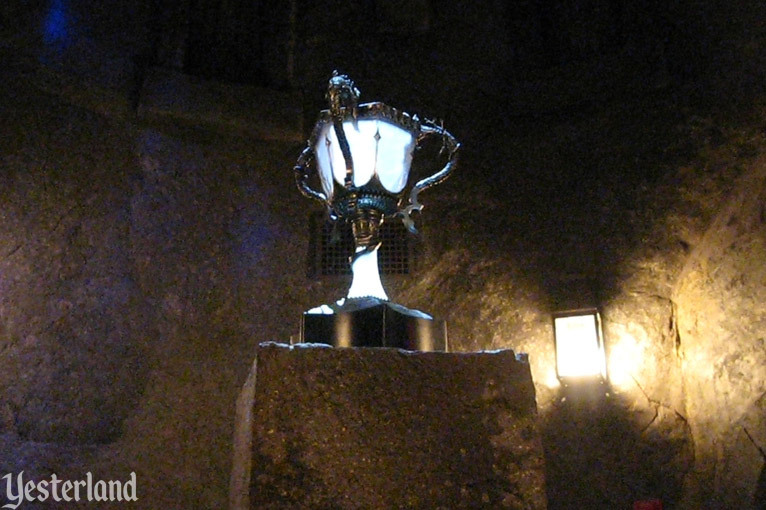 More than a year after the closure of Dragon Challenge, Universal still had not announced what its replacement would be. There was a clue in October 2018, when promotional artwork showed a single steel track above a forest—perhaps the Forbidden Forest—with several Cornish Pixies along the track. 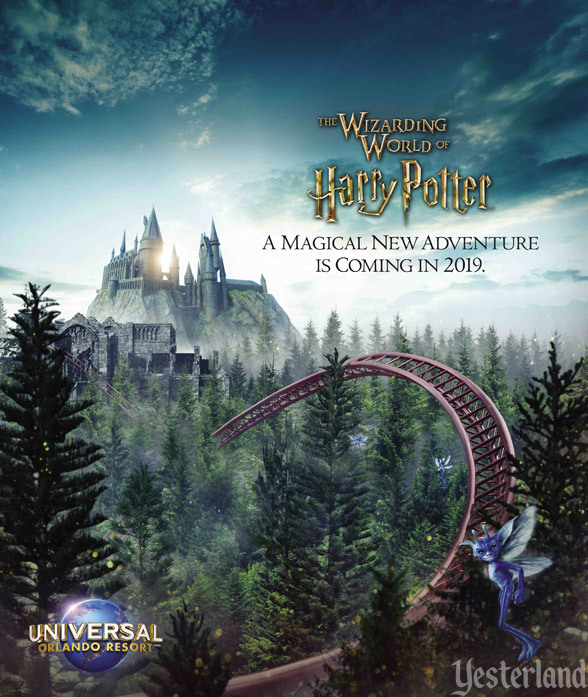 February 21, 2019, Universal finally announced the name and opening date. 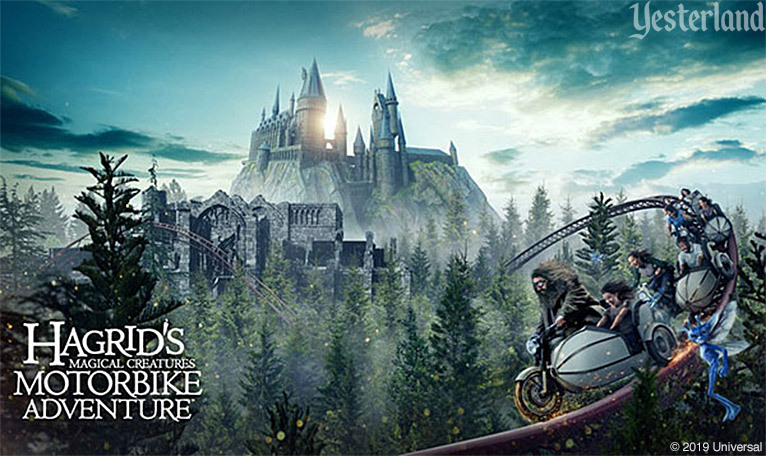 It would be Hagrid’s Magical Creatures Motorbike Adventure, opening June 13, 2019. 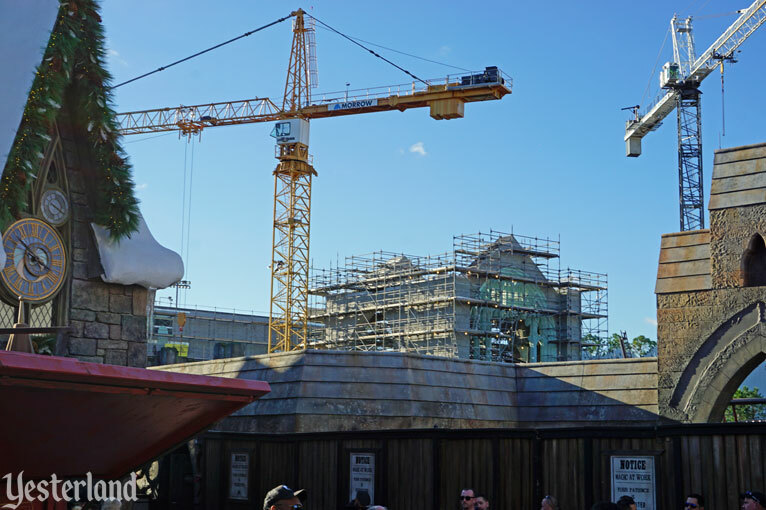 It seems like a much better fit with the rest of The Wizarding World of Harry Potter than the reused dragon roller coasters that preceded it.